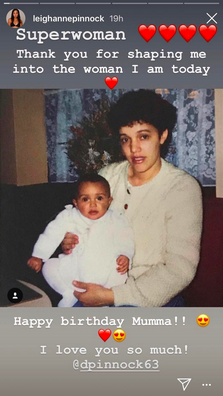 Taking to Instagram, 27-year-old Leigh-Anne has wished her mum happy birthday with an adorable throwback snap. Cradling a baby Leigh-Anne in her arms, her mum Deborah smiles for the sweet shot – which the Little Mix lady captioned: ‘Superwoman with a love emoji. Thank you for shaping me into the woman I am today.